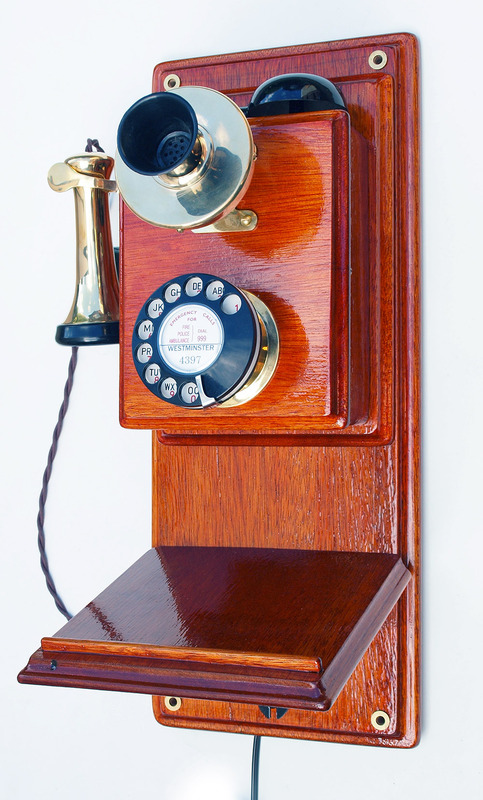 As you can see this is a wonderful wooden telephone made from solid hard wood and fitted with very high quality solid brass components. 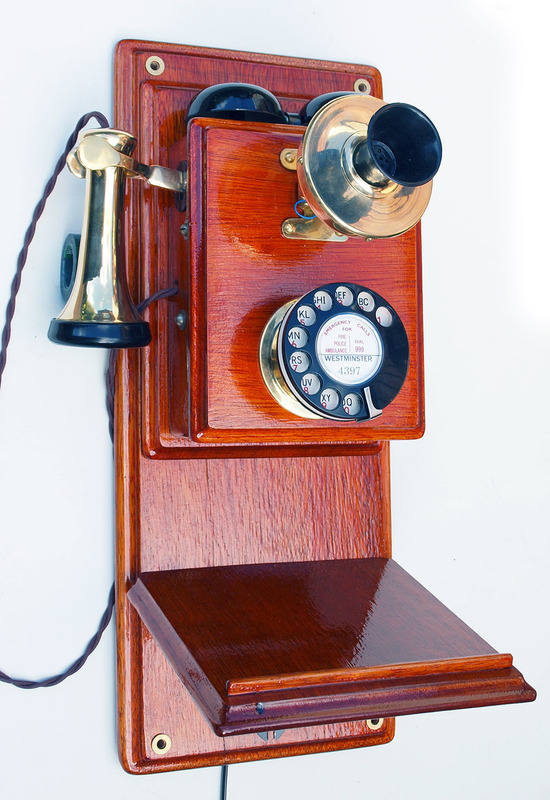 It has a genuine GPO dial and later GPO components taken from 1960 telephones. It has been fitted with a best quality British manufactured braided ear piece cord. Note the wooden slope has the inserted ledge to allow a note pad to be rested on it. 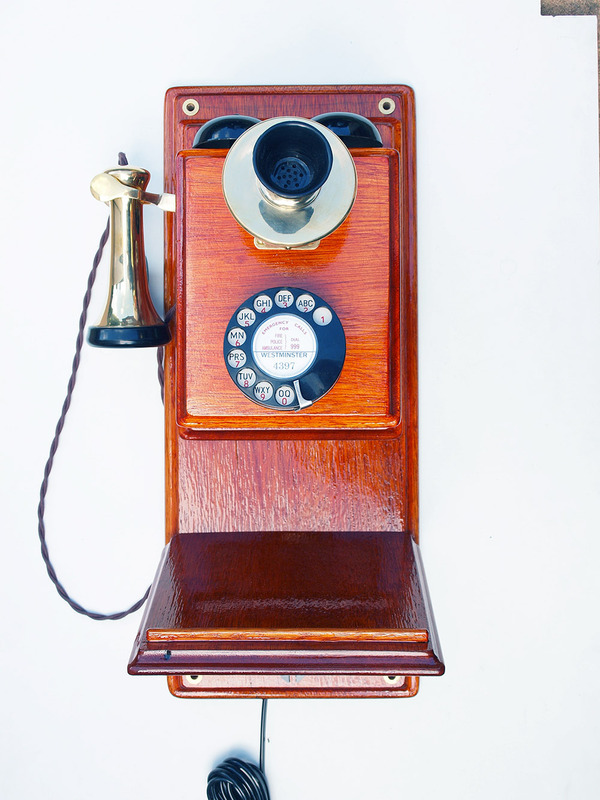 The sound quality is as good as a modern telephone with an electronic microphone fitted and will dial out and receive perfectly. It has genuine GPO bells and sounds wonderful when ringing. A dial label can be made with your information at no extra charge.